Do you have any idea Wheel Alignment is? When mechanics talk about your car’s alignment, they are referring to the way its tires align with the road. Improper alignment can be really bad for your car, but unfortunately there’s no handy notification light that shows up on your dashboard when it happens. The car pulls to one side when you’re driving. The steering wheel is crooked when you are driving straight. The car’s tire treads are unevenly worn. 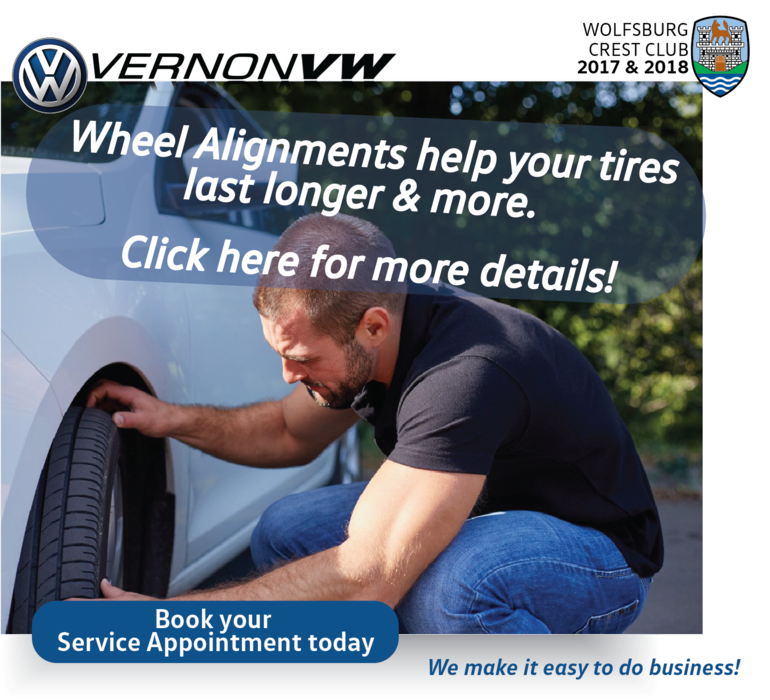 Vernon Volkswagen is offering wheel alignments for only $109.95 + taxes! Trust our Volkswagen Specialist to take great care of you and your vehicle! Do not wait! Book your appointment today!